The Glen Ellyn Police Department is pleased to announce that it will be hosting a Junior Police Academy this coming summer! The five day Academy will be held from 9 a.m. to noon Monday, June 25 through Friday June 29. The Academy will be held in the Community Room at the Glen Ellyn Police Department, Willowbrook Wildlife Haven, the DuPage County Court House (10:15am to noon on this day) and the Homeland Security Building (College of DuPage). Students must provide their own transportation to and from these locations. Topics covered in the Academy include: Police Tactics, Evidence Collection, defensive tactics, animal awareness and Specialty Units. Participants should be enrolled in a school within the Glen Ellyn School District, entering the 6th grade for the 2018-2019 school year and be in good standing with their school as well as the community. The applicant must list a reference from a teacher, school staff member or other non-family member. The goal of the Academy is to give students an overview of the Glen Ellyn Police Department and the community in a positive and meaningful way. It is not to train students as cadets or police officers. The applicant must list a reference of a teacher, school staff member or other non-family member. I agree to waive and relinquish any and all claims I may have as a result of participating in the Junior Police Academy program against the Village of Glen Ellyn, any and all other participating or cooperating governmental units, any and all independent contractors, officers, agents, servants and employees of the governmental bodies and independent contractors, and any and all other persons or entities, of whatever nature, that might be directly or indirectly liable for any injuries that I might sustain while participating in the program. 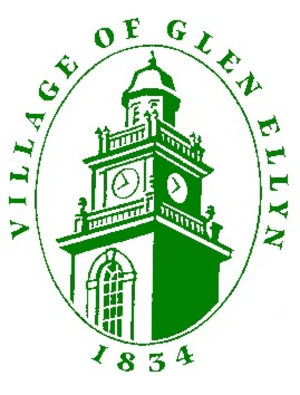 I do hereby release and discharge the Village of Glen Ellyn and the other released parties from any and all claims that may accrue to me personally as a parent or guardian of a minor who participates in the Junior Police Academy program. I will additionally permit the free use of my child’s name and pictures in broadcasts, newspapers, etc.